When your pump bottle runs out all you need to do is purchase a refill bottle and top it up. The base oils we use are all vegetable. 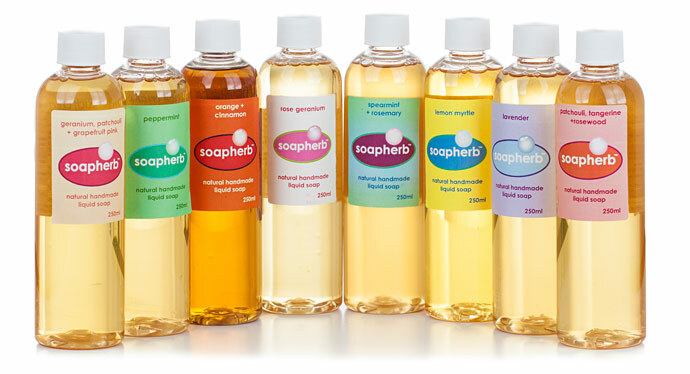 Soapherb assures you that there are no parabens or harsh chemicals added. We use only 100% pure essential oils for the fantastic aromas. Our natural liquid soap can be used in our new liquid soap foam dispensers without the addition of water because we don't add any harmful chemical thickeners making them the right viscosity to produce foam.